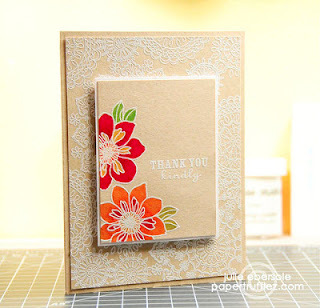 I have always loved this card by Julie Ebersole so I was excited to see it as this weeks CASE study challenge card. I LOVE her remake, maybe even a little bit more than the original! I heat embossed the Hero Arts Large Blossom stamp onto watercolour paper and then used my new Inktense pencils to colour in the flowers. 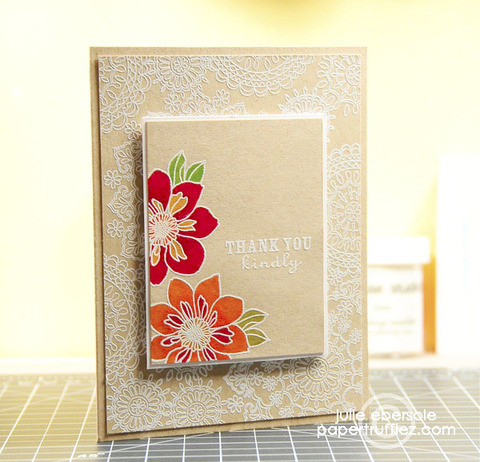 The sentiment is from the Hero Arts, Studio Calico set, Heydey Sentiments. I must say I am loving the Inktense pencils, my wonderful hubby gave them to me for my birthday yesterday and I haven't stopped playing with them. I am also going to put this card in this months challenge at Hero Arts - Hello Spring! 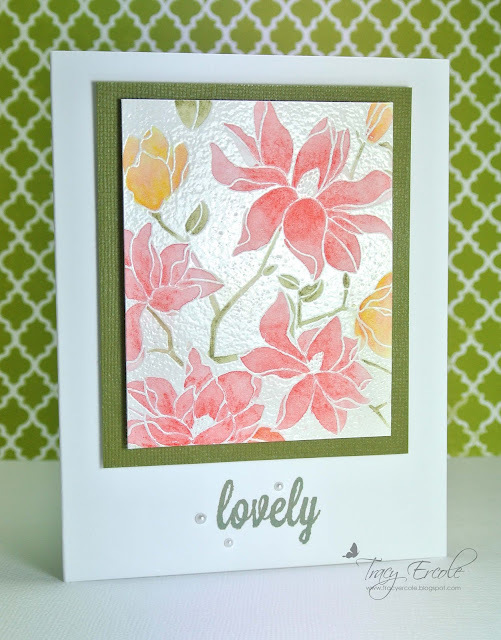 Your photo is fab - it really shows off all that rich embossing! HOW PRETTY! Tracy you did a marvelous job with this, love the coloring on your flowers!